Mattern Family: Long Drive+Children=Much Needed Planning. Things have been crazy busy for the Mattern household but oh so fun! 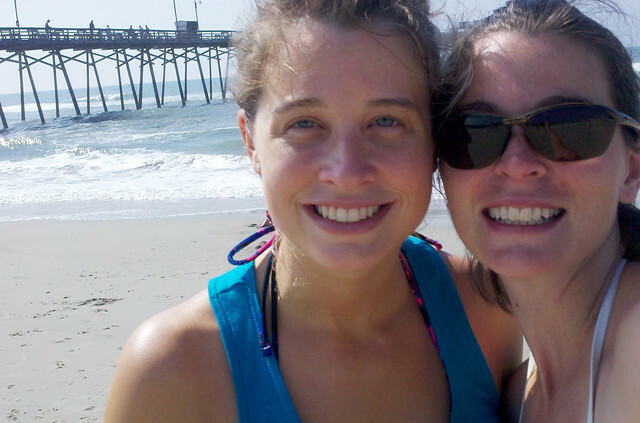 We just got back from the beach where we hung out with my mother and sister. We enjoyed lots of vitamin D, sunshine and sandy suits. As soon as we got home, I ran inside, loaded the washing machine, and began packing once again for another trip. We're headed to Texas for a week. It's the hubby's annual business convention and we are all super excited. This will be the very first time that we have brought the children along. Here are five tricks (that work for us) that keep the kiddos from asking the usual, "How much farther?" 2.) Instead of lots of mini breaks plan and pack a picnic to chill. We will stop at rest areas and pull out our home made picnic lunch and hang out enjoying one another. The kids get to play tag, stretch their legs and burn out energy. 3.) Never underestimate the power of the Alphabet game!! We have our own rules for this game. We begin with A.. you must find words that start with the letter. If it has been a while without finding a certain letter you may use license plates. Words have to be outside of the car. All my kids love this. 5.) Make memories! If kids are getting antsy, be creative. We took a 30 minute break in one of our past adventures, pulled into the nearest Wall-Mart and grabbed a few cans of silly string. We then had a war behind the store. This is something my kids still talk about today. Don't stress if things are getting "stressful," be spontaneous. What are some of your favorite kid tricks while traveling with little ones? This is seriously just like us when we travel... even down to that alphabet game, we play the exact same one... and leave at night (husband and I prefer the night drive). Have so much fun! Too bad you aren't coming out to California! gosh, I just love roadtrips too! great ideas... you're going to have SO MUCH fun! Don't forget to look up random landmarks. Every town lays claim to one thing or another... you can see an giant Paul Bunin (sp?) in TN or was it Kentucky? But those are always fun to stop and see! Great idea! Can't wait to see you when I get back! You are a silly but wonderful girl! I love making adventures with you. Hmm sounds like I need to plan a trip to CA! I would love to get to meet up with you. If you ever make it to N.C. make sure you let me know!! So glad you got some time away at the beach... and Texas! Vacations are amazing times. I've moved my blog so I'm leaving my blog address as I can't figure out how to log on under it. That way if you want to find me you can.... It is http://mylongandwindingroad.wordpress.com/ Hope you are doing well! we just took a quick trip to the bay and we did all the driving at night. i have to say, the trip goes a lot quicker without all the bathroom breaks and food stops and with the kids sleeping. have a great trip!